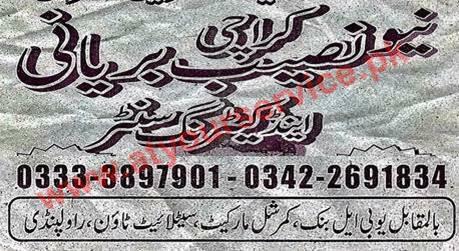 New Naseeb Karachi Biryani & Catering Centre is located in Commercial Market, Satellite Town, Rawalpindi. We serve hot and fresh chicken biryani. We also provide catering services for all your special occasions. Home Delivery service is available.